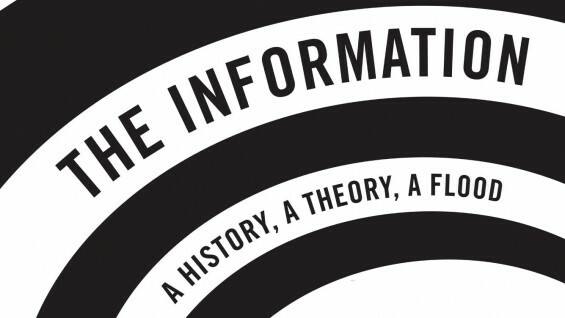 Acclaimed science writer James Gleick (bestselling author of CHAOS and GENIUS) discusses his book THE INFORMATION with John Freeman, Editor of Granta. Monday, April 30 at 6:30 pm in Cooper Union's Great Hall. THE INFORMATION presents an eye-opening vision of how our relationship to information has transformed the very nature of human consciousness. A fascinating intellectual journey through the history of communication and information, from the language of Africa’s talking drums to the invention of written alphabets; from the electronic transmission of code to the origins of information theory, into the new information age and the current deluge of news, tweets,images, and blogs. Along the way, Gleick profiles key innovators, including Charles Babbage, Ada Lovelace, Samuel Morse, and Claude Shannon, and reveals how our understanding of information is transforming not only how we look at the world, but how we live.